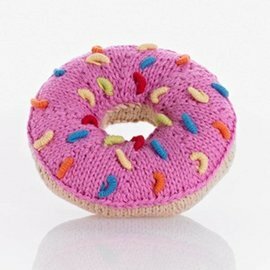 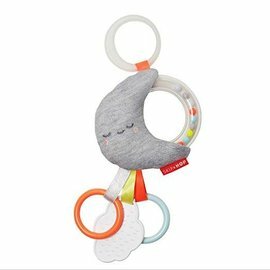 Rattle and teeth on-the-go! 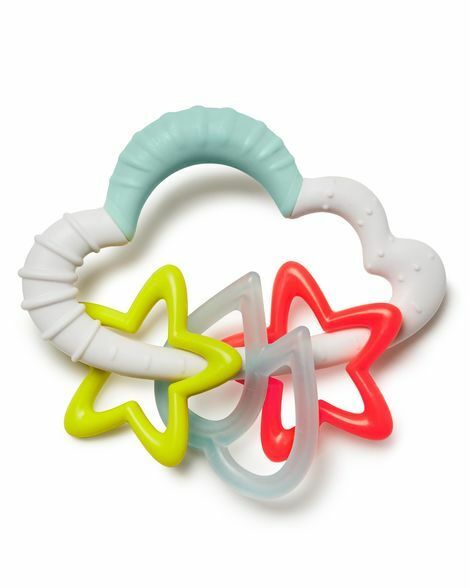 Featuring an easy-grab cloud shape with a textured surface that is perfect for teething, our adorable rattle is sized just right for little hands. 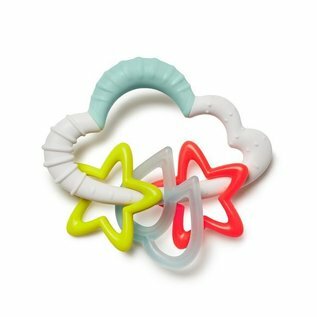 Colorful star and raindrop charms keep baby entertained as they shake and explore.